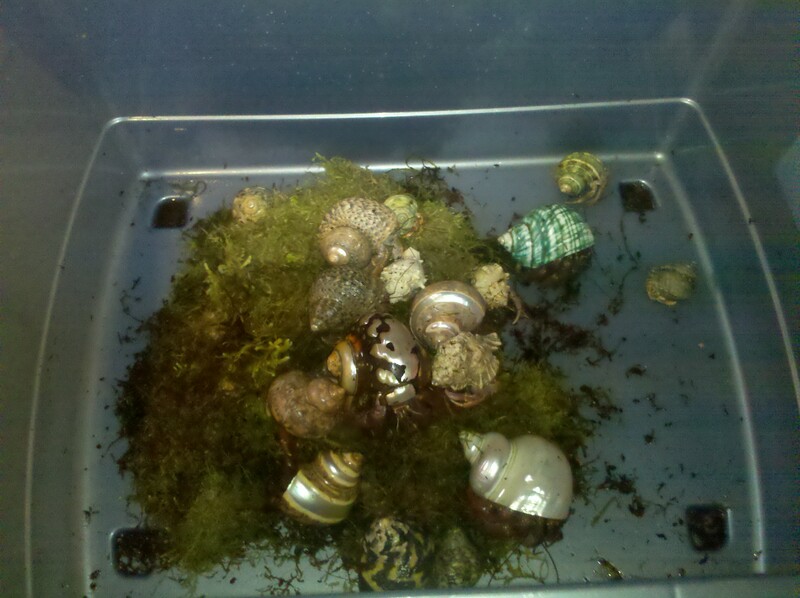 Hermit crabs love moss! Not only is it a great way to create and maintain humidity but your crabs will burrow in it and even eat it. They key is to select safe moss. This page should give you a starting pointing for determining which types of moss are safe for your hermit crabs. There are over 1200 types of moss so it would be impossible to address all of them. Listed below are the most commonly encountered types. In all instances you are looking for 100% natural, chemical free, dye free moss. When collecting your own live moss, know what you are collecting and do not collect from areas that may have been sprayed with chemicals or pesticides or contains pine needles/pine cones. “Don’t confuse sphagnum moss with sphagnum peat moss. Sphagnum moss and sphagnum peat moss are not the same product. Sphagnum moss is used in the floral industry to line wire baskets and make wreaths. It is the LIVING moss that grows on top of a sphagnum bog. This is a safe moss. Sphagnum peat moss is used as a soil conditioner by gardeners. It is the dead material that accumulates in the lower levels of a sphagnum bog. Harvesters of the horticultural peat moss remove the top few inches of the live sphagnum moss before harvesting the peat from the lower levels of the bog. Peat moss can also acidify its surroundings by taking up cations such as calcium and magnesium and releasing hydrogen ions. Cypress is a conifer. Coniferous wood/needles are toxic to crabs when ingested. Crabs typically graze on their substrates, making cypress a bad substrate. Cypress mulch according to my herp expert is really best for reptiles that are carnivorous. Cypress has uses only in EXTERNAL application, for most mammals and other animals it has toxic properties, and depending on the species of cypress, the most common is arsenic. Reindeer/Caribou (lichen) Moss – usually dyed and therefore unsafe. Completely natural frog moss for use with frogs, toads, salamanders, garter or green snakes, and all other moss environment species. Use as a top substrate or decorative accent in vivarium/terrarium applications. Frog Moss (also called “Pillow Moss”) will come back to life and grow in proper terrarium conditions. A beautiful, decorative living moss to accent your naturalistic terrarium. Increases humidity in terrariums making it perfect for all high humidity loving species of reptiles or amphibians. Zoo Med’s Frog Moss can be washed and reused several times before needing to be replaced with new moss. 100% natural terrarium moss is great for amphibians and reptiles that inhabit moist environments. The moss holds moisture, generating higher levels of humidity that is beneficial for tropical and forest species. Ideal for Chameleons, Frogs, Green Anoles, Rainforest Geckos, Salamanders & Newts. From the lush coniferous rain forests of Oregon, we harvest a moisture-loving moss that tropical reptiles thrive in. Its natural moisture retention properties keep humidity levels uniformly high, while forming a lovely green carpet that’s the closest thing to home for rainforest reptiles. Looks great, and your favorite pet will love having it under foot! Since it’s 100% biodegradable, mulch it into your garden for natural disposal. Ideal for Chameleons, Frogs, Green Anoles, Rainforest Geckos, Salamanders & Newts. Flukers makes dyed and undyed moss. Both are listed as all natural. They are easy to tell the difference though. The undyed is perfectly safe, the jury is out on the other. Hiawatha moss is grown naturally in the Pacific Northwest. 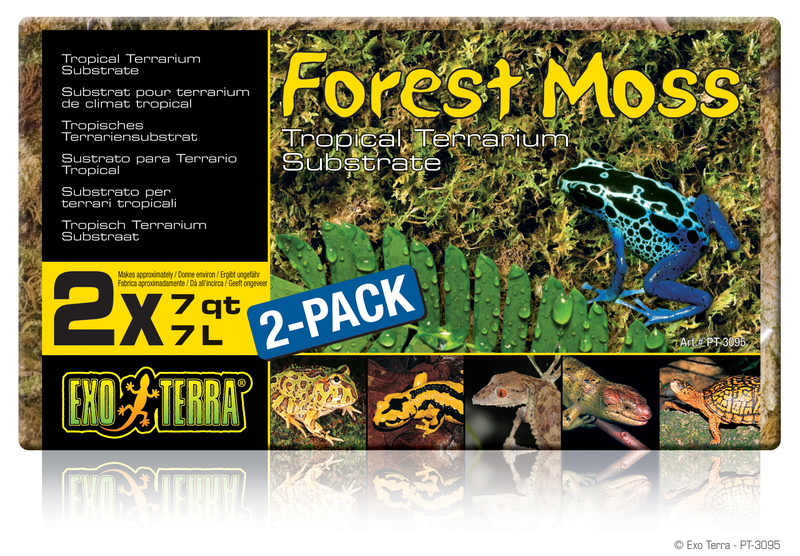 100% natural terrarium moss is great for amphibians and reptiles that inhabit moist environments. The moss holds moisture, generating higher levels of humidity that is beneficial for tropical and forest species. Sheet moss or Hypnum moss is transplantable and may be a moss you could coax into growing live in your crabitat. Exo Terra is selling Forest Moss which is actually Plume moss and I’ve used it in my tank with no issues. Used in the floral industry to line wire baskets and make wreaths. It is the LIVING moss that grows on top of a sphagnum bog. This is a safe moss. Next Post: How do I clean my hermit crab tank (crabitat)?